Moto Morini returns to the spotlight at EICMA. The legendary company will be exhibiting at the 2016 International Bike and Motorcycle Exhibition in Milan, from 8 to 13 November. This participation is evidence of the turnaround that the company from Bologna – based in the province of Pavia since 2014 – has undertaken in the last year, working on its relaunch and becoming a strong presence in the current market: while remaining faithful to its basic concepts of craftsmanship and made in Italy, Moto Morini is even more determined to present itself to the world in its present form, with a new bike – the first of a revamped product selection – a new image and even greater attention on customization. From November 8 onwards, visitors at EICMA can visit stand C06 in pavilion 6 to see the latest bike to be added to the present selection. Some technical aspects are apparent from the first published images of the bike, such as the new braking system and the adoption of ABS as standard, important elements that are part of a long list of innovations that this bike will offer, carrying Moto Morini into the future. All without forgetting tradition, indeed the name of the first product in 2017 will pay homage to the brand’s history. 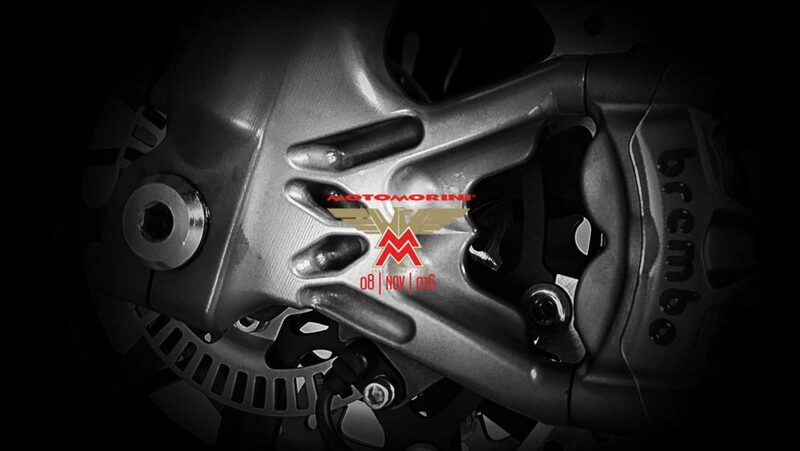 At EICMA the historic agreement between Moto Morini and Rizoma will also be officially announced. Rizoma is an industry leader in the creation and production of aftermarket accessories, known throughout the world for its modern and elegant style. Rizoma will produce a range of customizing accessories for Moto Morini and any ad hoc accessories for One Off models: the range will carry not only the Rizoma logo but also the historic Eagle that has distinguished our bikes since 1937. So our customers will know they can find specifically designed motorcycle accessories for their bikes. To accompany the new range of technical innovations and updates, there will also be a new style and a means of communicating to a wider audience, not just to Moto Morini enthusiasts. The starting point will be a magazine, launched at EICMA with its “zero edition”: a magazine that recounts the past and future of MM, the people that have made it famous, journeys, and the most exciting experiences riding our bikes, as well as company news. At the same time the new website will be unveiled, modern and precise, with all the technical features expected from a web showcase, starting with compatibility with all devices.